Mal shares his time between running a half billion-dollar corporate retail business and selected consulting work. His day job is general manager operations for Farmlands where he leads a $550m retail business with 82 retail outlets and is responsible for 650 people. He also runs the category team, pricing team and a merchandise team. During the first two years of running the business, Net Profit increased by 36% and continues to grow today. He is a hands on, practicing retailer with proven success who also just happens to be an outstanding communicator and motivator. 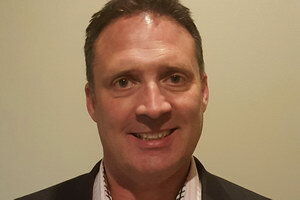 Previous experience: With almost two decades of blue chip business experience in marketing, merchandise and operations roles in company’s such as Cadbury (NZ), Cocoa-Cola (UK), Shell (NZ and Australia), Mayne Group (Australia) and Farmlands (New Zealand) Mal is not only strategist and innovator but someone who enjoys sharing his knowledge. He has forged a formidable reputation as a retail management consultant in addition to being a senior retail business executive. Over the last decade Mal has been immersed in a number of retail channels including pharmacy, liquor, convenience stores/oil channel, hardware and rural supplies amongst others. He is famous for his consultancy work, deep knowledge of store operations, category management expertise and his presentations which are presented with a unique combination of bluntness, consumer insight and a good splash of comedy. Mal is the founder of Zumo Retail Ltd - a boutique retail consultancy with consultants based in New Zealand and Australia. Zumo Retail has an impressive client list including many well-known brands such as: Shell (USA), Conoco Phillips (Malaysia), Meridian Energy (NZ), James Hardie Industries (Australia), Newscorp (Australia), Farmlands (NZ), EBOS (Australia and NZ) and Thirsty Camel (Australia) amongst many others. Mal shares his time between running a major corporate retailer, selected consulting work and running a web based pricing tool, known as Zumo2 which has been developed specifically to enhance margin for retailers. He is not only a busy man, but a passionate retailer and consultant who enjoys providing pragmatic advice with humour and panache.